Kelly Blue Book (KBB) has just released its annual Best Resale Value Awards rankings and for the fourth time in the past six years, Toyota is again named the best brand. Toyota has taken home the brand win in 2014, 2017, 2018, and now again for 2019 models. In addition to being named the best brand for resale value, KBB also says the top overall vehicle for resale value in 2019 will again be the Toyota Tacoma midsize pickup truck. "Shoppers can be confident a vehicle will retain its value well if you pick from our list of Best Resale Value Winners. At the brand level, Toyota and Porsche repeat their wins for top brand and luxury brand, respectively, with the highest average projected resale value among their full model lineups," said Eric Ibara, director of residual values for Kelley Blue Book. Ibara went on to say, "Positioned among the Top 10 vehicles this year are all truck models. Despite the higher incentives available on trucks today, used-car buyers are willing to pay more for trucks, relative to the initial MSRP, than they are for sedans. Without the prospect of higher gas prices, this trend doesn't appear to be slowing." 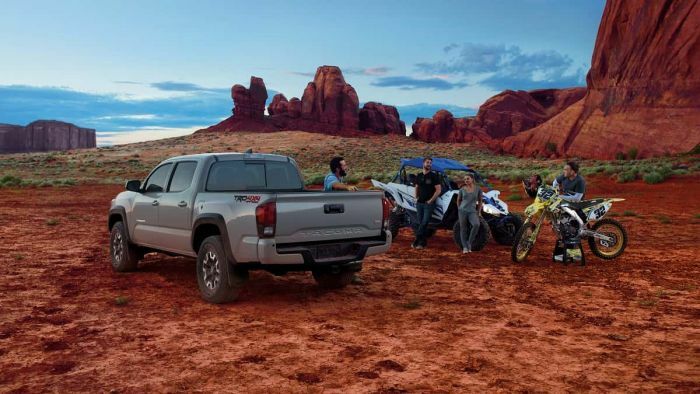 Among the top 10 overall best vehicles in 2019 for resale value, KBB says that three Toyota models, the Tundra, Tacoma, and 4Runner earn a spot on that special list. KBB broke the industry down into 24 segments and awarded the top vehicle in each category a segment win. Here, eight Toyota/Lexus models win their category including the Lexus RC Coupe, Lexus UX crossover, Lexus RX crossover, Lexus GX SUV, Lexus LX SUV, Toyota Tundra full-sized pickup, Toyota Tacoma midsize pickup, Toyota 4Runner SUV, and Toyota Highlander crossover. Subaru also did very well in the rankings. For a full report on Subaru's place among the best for resale value, please see our full coverage here.